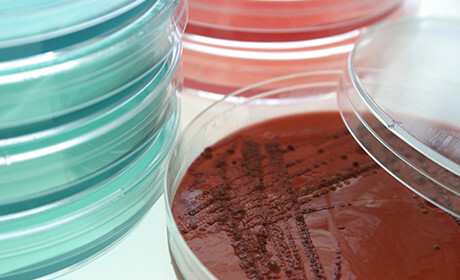 Innovation from our R&D facility is based in East Kilbride, Scotland, where we have a large laboratory, a separate microbiology and cell culture suite, as well as both ambient and cold storage facilities. Our facility in Mansfield, England, concentrates on producing, manufacturing and the distribution of test kits. It is also the facility where we do our plate coating and reagent bottle filling and most of our antibody purification on our new state of the art AKTA Purifier. Both facilities adhere to identical quality control standards, in accordance with ISO 9001 and AFNOR 16140.